Contest for Twilight Moms only! We have a special contest just for you! We are collecting anecdotes for possible inclusion in a new book by Lana Veenker. 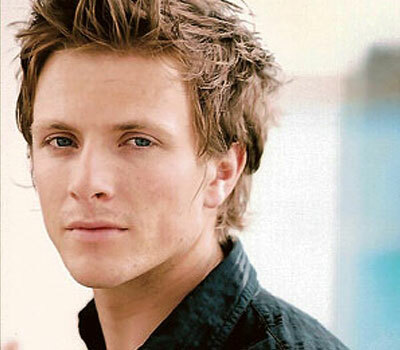 Fill out the survey below for a chance to win a New Moon poster signed by Charlie Bewley (Demitri) AND a chance for your story to appear in the book! This contest is for Twilight fans age 25 and older. CONTEST ENDS AT MIDNIGHT PDT (GMT-7) ON APRIL 30, 2010. Winners will be notified by email and on our blog. If we would like to use your anecdote, we’ll be in touch. Thanks for playing and good luck! PS: We’ll have more contests soon, so if you’re under 25, keep checking back! This is a little past due, but my report on the recent Celebrity Vampire Baseball fundraiser in New Orleans was delayed by a little something called the “kernel panic screen” on my computer. Not good. No amount of restarting would bring this baby back to life. 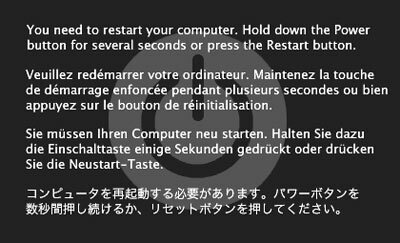 It took three attempts to completely erase my hard drive and reinstall all the programs, only to see the Screen of Death once again, when I attempted to restore my backed-up documents. So, my beloved MacBook Air has been shipped off to Apple and I’m left trying to cast two TV shows, run a business, finish a book proposal, prepare my personal and business tax returns and update this blog on whatever computers I can get my hands. FUN!! For those who don’t know about Celebrity Vampire Baseball, it is a fundraising event organized by Fan Trips. In the Twilight saga by Stephenie Meyer, baseball is a favorite pastime of the Cullen family of vampires. The fundraiser pits Twilight actors against other celebrities to help raise money for various non-profit organizations, such as the American Red Cross and Hope for Haiti Now. I taught a few acting workshops in conjunction with Vampire Baseball last summer in Portland and also helped out as a talent wrangler (a task similar to herding cats). We had a blast with Edi Gathegi, Rachelle LeFevre, Peter Facinelli and several others from the Twilight cast. So when I was lucky enough to be invited to help out again on the event–this time in New Orleans–I jumped at the chance. I had never been to Louisiana and was looking forward to seeing many of my Twilight and New Moon friends again, including Alex Meraz, Chaske Spencer, Gavin Bristol, Alexander Mendeluk and many of my behind-the-scenes buddies, such as agents and fan site administrators. One of the best parts of this game was the team of people on the ground in New Orleans who had banded together to help us out. Louisiana has a thriving film industry and I got to meet several actors, directors, producers and other professionals who had volunteered to pitch in and make the event a success. I had a blast hanging out with them and learning more about how Louisiana has built its film industry from the ground up. Even post-Katrina, there are 80 (count them: EIGHTY) films shooting in Louisiana this year that have qualified for state film incentives. Other states certainly have a few things to learn!! Of course, the funnest part was the game itself, which was full of antics on the part of the actors and the other celebrities who participated (including New Orleans Saints kicker Garrett Hartley of Super Bowl fame and actor Nelsan Ellis of True Blood). The evening ended with a concert by MUTEMATH, Lee Safar, The National Rifle and Sole Pursuit, benefiting Haiti relief efforts. All in all, a great weekend! Once I get my computer back, I’ll edit this post to add some photos. In the meantime, here’s a video taken by one of the fans of Alex Meraz performing some pretty awesome dance moves. Enjoy! Can’t wait until Vampire Baseball Salt Lake City on May 22nd, where Twilight actors will compete against Olympic athletes! If you’re attending Creation Entertainment’s Official Twilight Convention in Seattle on January 15-17, 2010, keep an eye out for Lana! Once in many moons a new genre craze begins and so it is for TWILIGHT, the epic series of books and smash hit feature film (with sequels to follow). We are proud to present the Creation Entertainment’s Official Twilight Convention 2010 in the happening city of Seattle Washington State, January 15-17, 2010. With fantastic guest stars from the film, wonderful programming, panels and events, themed parties, autographs and photo ops, live musical performances and more: make your plans now to join the celebration! This squares up with my blog post from back in December that the main roles would go to known actors. This also means perhaps we’ll stop getting emails from actor hopefuls from around the world asking us to cast them as Jane…? Yes? No? (Did I mention we’re not casting the movie?). Congrats to Dakota; she’ll be great! Looking forward to news on the rest of the “New Moon” cast. Summit News Confirmed: Solomon Trimble Will Not Play Sam in "New Moon"
I’m sad to report that the news posted on his MySpace page is true and came to us yesterday from Summit Entertainment. On the bright side, I have no doubt that Solomon’s dedication, professionalism and integrity will take him far in his career. He has been a class act throughout the process, never compromising on his principles and approaching life with his usual optimism, grace and charm. The continued support of his fans would mean a lot to him as he undertakes new ventures, so please wish him well! Time to tackle another round, since we continue to be bombarded with questions about the Twilight series. We cast many of the smaller roles in “Twilight,” but the sequel is shooting in Vancouver BC, so we are not working on it. We know nothing about the casting of “Eclipse” or any further productions based on the book series. We can, however, give you some insights as to how things usually work in the business and if you take the time to read through some of the older posts on this blog, you’ll find lots of other tips and tools that can help you get started in acting. HOW LONG DOES IT TAKE FOR A ROLE TO BE CAST? Q: I actually did send my submission [for the “New Moon” Native American open call] on time and received the auto response. So do I still have a chance or does this mean they have already contacted those who they are interested in? Or are they still at this moment going through submissions? Q: I’m sorry to bother you with a question that probably has an obvious answer. I was wondering how long it usually takes a CD to go through audition tapes? Also, if 2 weeks has passed since submission deadline, then they probably already narrowed things down… I submitted the Native American piece for Emily (I’m part Native American). I figured it was a long shot since I live so far away. So, I just would like to know your thoughts. Q: How long do you have to wait to hear something if you already sent in your video audition to René [Haynes]? Q: Lana, Have they got people casted [for “New Moon”] from the LA area? did they contact who they wanted? Q: Ok, so I actually sent my headshot and contact info in [to Rene Haynes] almost a week ago. Never received the packet of info. Does this mean no luck? Or are you still viewing people’s submissions who sent them on time? Q: Do you think Rene Haynes Casting is sending an information package to everyone who emails their picture or are they selecting the individuals who appear within the criteria of the roles they are casting? A: I have not been in contact with René for several weeks, so I don’t know where they are in the process. That being said, the shoot dates are coming up soon, so I would imagine that they have probably contacted everyone they were interested in from her January call for submissions by now and are beginning to finalize casting. HOW CAN I AUDITION FOR ONE OF THE ROLES? Q: i want to be the blonde chick who is human but works for the volturi. small simple roll. but i fit the description. whens that casting? Q: I am interested in auditioning for the part of Leah Clearwater. But from my research it seems that the screenwriter of New Moon has not included her in New Moon. Is it true that Leah will make her first appearance in Eclipse? If you do not know, where can I get this information? Q: For so long now I’ve been pondering about what it would be like if I was in a Twilight movie. I’ve already been told about thirty times that I am only one of one of ten billion. But I want to be able to have a chance at this. I don’t really know how it works or what to say, but I just wanted to inform you that I was thinking of auditioning for Leah Clearwater. If you would please reply back, that would calm my nerves knowing that you read my message. Q: If I wanted to audition for the role of Leah Clearwater, when would be the best time to try to land that role? And, will there be an open casting call for the role? Like there is now for the Native American roles? Q: Since the role of Leah Clearwater is not up for grabs now, when will the auditions be held for that? And will there be an open casting call for the role? Or do we need an agent to help us on that part? Q: i would also love to audition for Leah and don’t know where or when to throw in my resume and picture. It would be great if someone could give us a heads up on the issue. I guess Leah will not be in “New Moon” ?? Q:I have done your actor survey, and I have also sent in my headshot and resume because I want to be considered for the part of Jane in New Moon. Do you think I have any chances of getting an audition? Q: I want to be Tanya/Bree/Jane/Alec/Aro/Vampire #4. How do I audition for “New Moon” and other “Twilight” sequels? Who do I talk to? A: Sigh. As we have mentioned many times before, all of these roles will likely go to established actors with a track record. The smaller roles may not require actors as famous as those who will likely be chosen for the larger roles, but producers will seek the most experienced and established actors possible. If there’s a possibility that a role will be difficult to cast among the pool of established, known actors, then an open call may take place (as was the case for the Native American roles), but the purpose of this is to find out if there are any talented and experienced actors out there that the casting directors are unaware of. It’s very rare for a completely inexperienced person to land a role of any significance in a film like this one, unless the casting specs rule out absolutely everyone else. He or she may land a teeny, tiny role, if they’re primarily seeking a “look” and there are so few lines that acting ability is not the biggest concern. But he or she has a much better chance of being hired as an extra than as a principal actor (as long as he/she lives in the area where the film is shooting; they don’t want extras who live thousands of miles away). WHEN AND WHERE ARE THE “NEW MOON” AUDITIONS? Q: Will there be “New Moon” auditions in London/Tokyo/Brazil/Small Town, USA? Q: I am so sorry for bothering you with that, but do you have any preview of when the casting of other roles for the [“New Moon”] movie will be annouced? I am really interested in trying for a role, but I am going to NYC soon, for an acting couse. If you could, would you please give me some information? And will you be casting in New York? Q: Hello, I wanted to know about more information about the extra casting for New Moon. I’m very interested and I would like to participe for extra casting in Vancouver, BC. I would like to know if there is an e-mail address where I can send my picture and my personnal information. I have heard about TBA who will take care of extra casting in Vancouver. That is why I would like to know if I can contact them or wait until they publish news about casting. A: We are not casting “New Moon,” so we don’t have this information. If we ever hear anything and know it to be true and not a rumor, we’ll post it on the blog. Unfortunately, there simply isn’t enough time in the day to run a casting company and answer individual inquiries, especially about a project we aren’t casting. WHO IS PLAYING THE ROLE OF X? Q: I heard that the role of [Jane/Leah/etc.] has been cast. Can you comment/clear up this “New Moon” casting rumor? A: We won’t comment on rumors. When we have news to share that has been verified by reliable sources we know and trust, we will share it. We promise! CAN YOU GET SOMETHING TO X FOR ME? Q: I wrote a song/know a song that would be perfect for “New Moon.” Can you help me get it to the director? Q: Can you pass on my headshot and resume to the “New Moon” casting directors? Q: I have something I want to give to Robert Pattinson. Can I send it to you to forward on? A: Sorry, but we can’t forward your information, casting/music suggestions, etc. to the filmmakers, crew or actors. Again, if a bona fide channel opens up for these kinds of things, we’ll share the steps with you and give you all of the information we can to help. WELL THEN, HOW DO I BREAK IN? Q: I have close to no experience in acting, and in answer to the question “Is it possible to get hired as one of the main characters in a film if I don’t have experience and don’t live near the shoot location?”, you said you had to have recognition as an actor, in a lead part, to get this role. But I am wondering, how do you get a director to take a risk in casting you as a part? A: Aha! This is something we can help you with. You need to start with building blocks. You can’t go from never having flown an airplane to being the pilot without first going through some rigorous training and logging a lot of flight hours. It’s the same with playing the main characters in a major feature film. The producers are looking for someone to fly their very large, expensive airplane (i.e. the movie). They don’t want someone who has never flown before! It’s too risky. What would you do if your dream were to be a pilot? Would you start applying for jobs right away? Or learn how to fly a plane first? When you were little, you probably learned how to ride a tricycle before you learned to ride a bike. And you probably had training wheels at first, when you graduated to bicycling, because you were a little wobbly. Producers don’t want wobbly. They want solid. They want to reduce risk as much as possible. Pilots learn to fly smaller planes, before they’re allowed to fly commercial aircraft. They need to earn their wings, before taking on such a large responsibility. You do, too. Read up as much as you can on acting, on the business and on anything else you can get your hands on. Feel free to browse some of the older posts on this blog for info or sign up for our mailing list. Take classes with only the very best acting teachers. Learn how to recognize scams and avoid them. Get some theatre experience. Audition for some independent films. Eventually, you’ll be ready to approach talent agents and casting directors, but not until you’ve logged enough flight time. We do our part to help you; now do yours! CASTING IS NO LONGER ACCEPTING SUBMISSIONS. THEY HAVE RECEIVED MORE RESPONSES THAN THEY’LL EVER HAVE TIME TO SORT THROUGH. Please tell the fans on our behalf how grateful we are for their enthusiasm and dedication to the project – and explain that (as with all film auditions with overwhelming responses), they will only be contacted if there is further interest. I will still keep most of the previous post up, so fans can read it, but keep in mind that the casting is closed for submissions. René Haynes also reiterated that it is their GOAL to find Native actors for the Native roles. Now that the casting call for the Native American roles in “New Moon” has been announced, we’re getting a lot of emails and messages asking how to submit your materials for a film…especially if you don’t have previous professional experience. Rather than hash out a bunch of information that is widely available in acting books and on the Internet, I think the best solution for new actors is to see how others have done it. Here’s a link to over 7000 acting resumes. Pick a template you like, copy or recreate it in a word processing document and insert your information. If you don’t have experience in a certain category (for example, in television), write “New to Industry,” and focus on your training, skills and other areas where you have strengths (i.e. theatre) and that are relevant for the role (if you have Native American heritage, for instance, you might want to mention it). Notice how the majority of the resumes are crisp, clean and easy to read; yours should be, too. They are only one page long and they only focus on experience relevant to acting. They do not include Social Security numbers!! Here’s a link to 76,000 headshots. If you’re serious about an acting career, you’ll eventually need a professional headshot, but for the purposes of an open casting call, a simple digital photo will suffice. Notice, though, how the actors are framed in their photos, how their faces are easily visible (no hats, sunglasses, etc.) and how the best photos are in sharp focus and draw your attention to their eyes. Notice that the actors are in front of a neutral background and there are no friends or pets in the frame. Take this into consideration when taking your own photo. Clearly, this is a crash course and you’ll want to make sure your marketing materials are as sharp as your acting skills, if you intend to pursue acting as a profession. But this should help those who are just starting out. I’m sorry, but as much as we’d like to, we are simply unable to answer individual questions or review your materials, due to our work load (especially since most of the requests have to do with “New Moon,” which we are NOT casting). So, please, hop online, ask other actors in your community, and visit your library or bookstore. There are lots of great books on the subject of acting and auditioning. Show the CDs what you’ve got! Initiative goes a long way. UPDATE: CASTING IS NO LONGER ACCEPTING SUBMISSIONS. THEY HAVE RECEIVED MORE RESPONSES THAN THEY’LL EVER HAVE TIME TO SORT THROUGH. For months, Twilight fans have been sending us their submissions for the Native American roles in “New Moon,” despite the fact that we have announced on several occasions that we are not casting it. What a shame, though, for all those contacts to go to waste. We wanted to make sure to pass our resources on to the new casting directors, so after exchanging emails and phone calls with Summit and with the new LA casting company, we were able to talk with the casting director who has been hired specifically to cast the Native American roles. We’re very excited to announce that the wonderful and supremely qualified René Haynes is helming the Native American casting on “New Moon”. For the love of Edward, do not attempt to call the casting office. Repeat: Do not call the casting office. One more time? Please, please, please do not call the casting office. The casting company’s job is to find the best and most professional actors for the parts. Your chances of being chosen will increase if you demonstrate that you are reliable, responsive and serious about your acting career. The film calls for Native American teens and young adults, so that’s whom the casting directors want to see. The most experienced, trained, legal-to-work actors who fit these specs will be given first priority. In our experience, only after exhausting all possibilities among those who meet the requirements will casting directors begin to consider those who don’t (in this case, great actors who are not Native American, or Native Americans who are not actors). Reminder: This casting call is for the Native American roles only. Submitting for any other roles in the film will only waste your time and the casting office’s. * Be sure to include ALL the requested info in your email. Your photo should be recent and should show a clear view of your face. It doesn’t need to be so big that all the casting director sees is your eyeball in her browser window. Typically a 400×600 pixel image will do. * Please don’t email every other person on the company roster or send multiple emails. Stalkers are quickly eliminated (if you don’t know how to behave and follow instructions in something as simple as an email, how do they know how you’ll behave on set?). * If it says “no phone calls,” they really, really, really mean it. Please be respectful of their time, their limited number of phone lines and their already heavy work load. They love and adore you, but the casting staff often doesn’t have time to respond to requests for updates or sometimes even to confirm that they received your materials. They’ll only get in contact with you when and if there is news. Unfortunately, that means a lot of waiting, but due to time constraints, there’s usually no other alternative. 5. Gain as much experience as you can. If you don’t have a lot of experience, take some classes, find a mentor, read books and get up to speed on how the industry works, so you come across as a professional. There’s a lot of free info on this blog and in our newsletter that will help you (register on the top right sidebar, if you’re interested). If you happen to be near Portland, Oregon, you can even attend Lana Veenker’s workshop on March 1st. But most importantly, find a way to get some experience. Hope this helps and best of luck to everyone. We can’t wait to see you on the silver screen. We are NOT casting “New Moon.” As mentioned in several of our previous posts and on our MySpace pages, it is being cast in Vancouver, LA and Italy. NOT in Oregon or Washington. Not in our offices. If Vanessa is auditioning for the role of Leah, she’s written her own pages to read, ’cause I didn’t write ‘em. 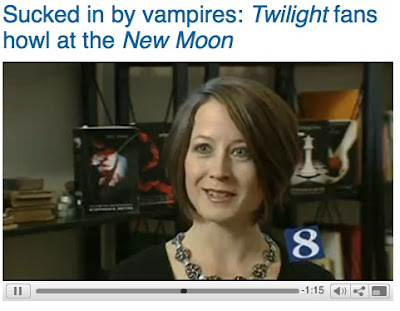 Thanks for helping to clear this up, Twilight Lexicon.